It’s that time of year again—the 2014 Tellys have been announced! We’re proud to have received five more awards this year, including one Silver Telly—the program’s highest honor! 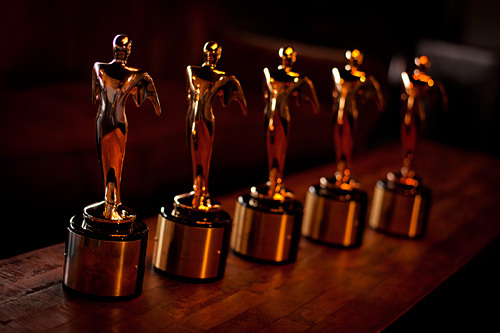 Z2 has won many Telly awards over the years, and we’re excited to add to our collection. We received a Silver Telly this year for a music video we shot with Radio Disney Star Shealeigh for her song, “Be Kind.” Shealeigh has been generous enough to donate all proceeds from the song to Z2’s charity, This Time Tomorrow Foundation. Our 2013 This Time Tomorrow music video, featuring Milwaukee’s own I’m Not a Pilot and Hollywood actor C. Thomas Howell, won two Bronze Telly awards, in the categories of music video and cinematography. All the proceeds from this song were donated, as well. Another rewarding project we tackled in 2013 was a 22-minute documentary on the history of The Pfister Hotel. It also won a Bronze Telly. Finally, we received a Bronze Telly for a really fun sales video we put together for our client, Zero Zone. Check out the Sherlock Holmes theme. We’re so proud of these accomplishments, and can’t wait to see what the next year brings!